Disappointingly for anti-“Frisco” purists, this decree is likely apocryphal. The earliest citation I could find is in David Warren Ryder’s 1939 biography of Norton, which offers no sourcing. John Lumea of the Emperor’s Bridge Campaign has written the definitive account of the phony decree. 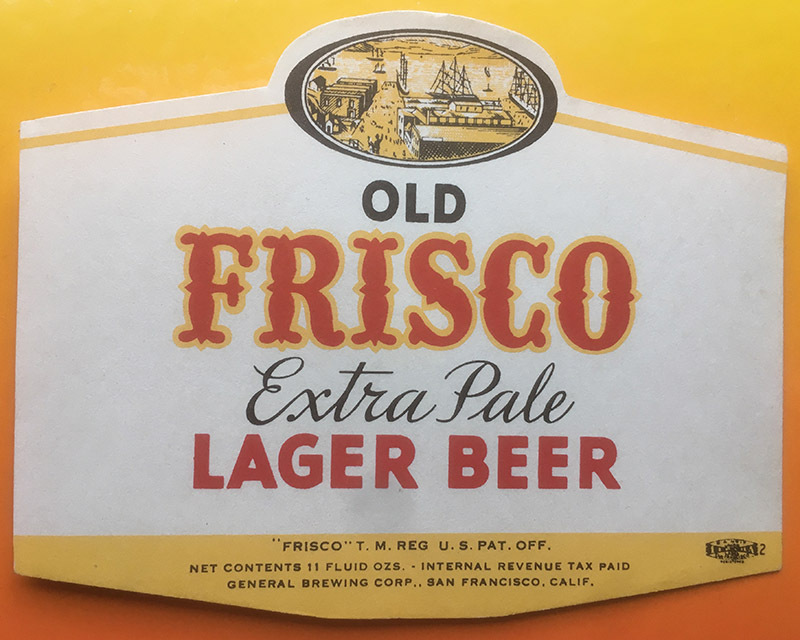 1882: The “feverish campaign against ‘Frisco’” can be traced back to this year, according to lexicographer Allen Walker Read. 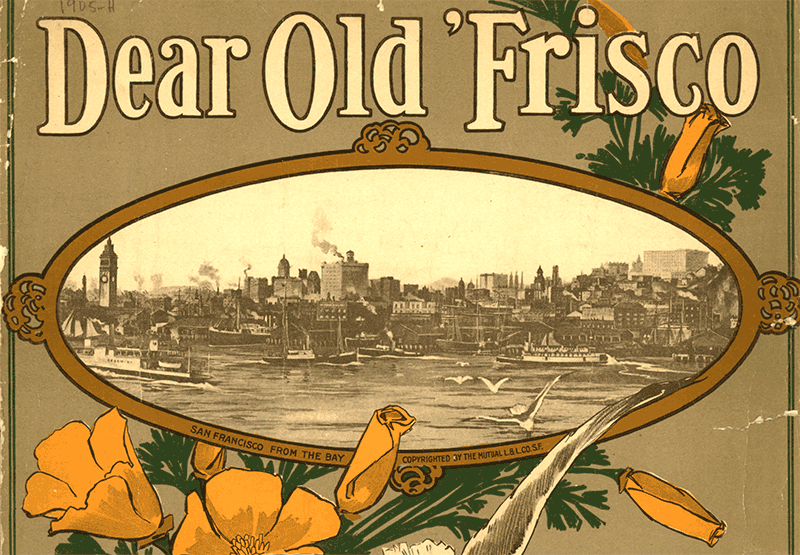 1904: “No, we don’t call it Frisco, that’s tenderfoot talk,” states an old-timer in an article in The Reader. 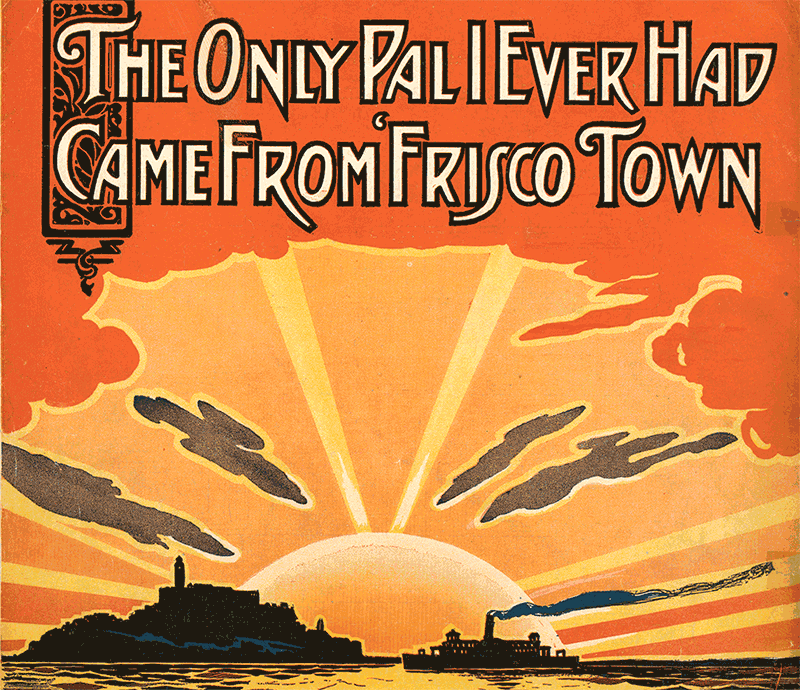 1906: “Anyone who goes about the country asserting that his home is in ‘Frisco’ may at once be set down as an imposter,” says The Advance. Pain or cause her grief? Remember to knock Los Angeles. 1943: Time reports: “Because ‘Frisco’ is a contraction abhorrent to all San Franciscans, roly-poly Mayor Angelo Rossi sped to Hollywood to take issue with 20th Century-Fox, about to release a picture called Hello, Frisco.” Rossi reportedly convinces the movie’s producers to promote it as Hello, San Francisco, Hello within city limits. 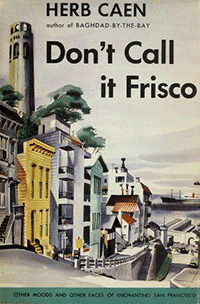 1946: “If you want to win friends and influence people there, don’t call it Frisco,” a guide to California advises visitors to the city. 1968: “I left my home in Georgia / Headed for the Frisco Bay,” sings Otis Redding in “(Sittin’ On) The Dock of the Bay.” You can’t argue with Otis Redding. 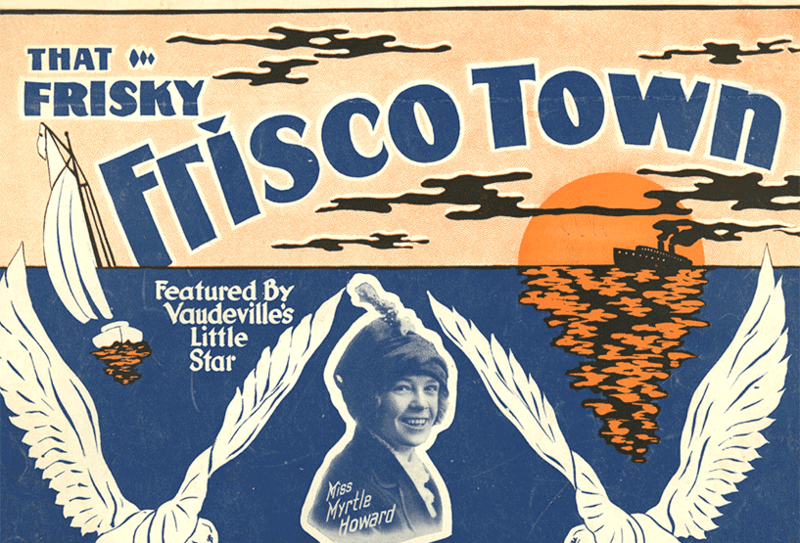 1977: Bette Midler plays Bimbo’s: “They told me, ‘Don’t call it Frisco, don’t call it Frisco… It’ll upset the natives.’ Well, FRISCO, FRISCO, FRISCO!” The Los Angeles Times reports that the audience loved it.